Anyone who knows me – knows that I am an absolute sucker when it comes to cheesecakes. I absolutely adore them! 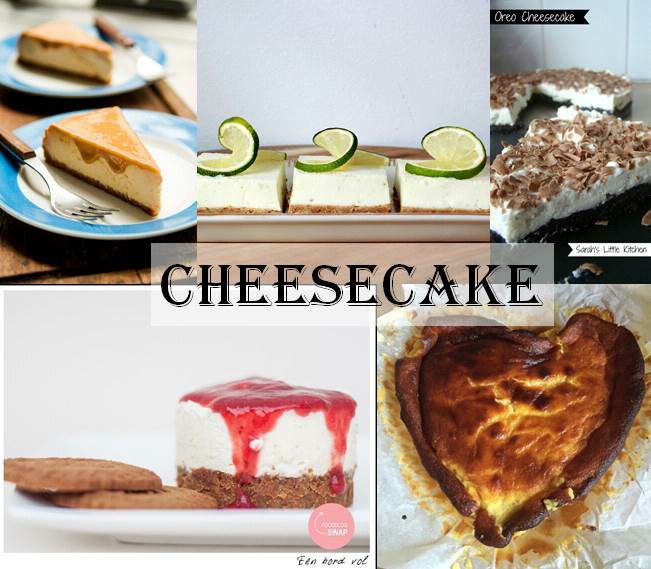 Which is why I often spend far more time drooling over other bloggers posts about cheesecake and even contemplating licking the computer screen (“don’t tell!” :)) – but these 5 really caught my eye… and I plan on making a few at home soon! And finally – Anniek of Cuberdon & Macaron clearly shares my passion – as she had 2 recipes recently that both had me drooling – a “dulce de leche” cheesecake and a cheesecake with a hint of lemon curd… Yummy! Do you have an cheesecake recipe that you wish to share with us? Just add the link to the comments section below! Ik was er in het begin geen fan van maar dat is helemaal veranderd sinds ik deze healthy havermout cheesecake maakte.